India needs to become more self reliant on telecom equipment manufacture to ensure that the telecom sector continues to thrive and grow. The Telecom Regulatory Authority of India (TRAI) has issued a consultation paper on promoting local telecom equipment manufacturing. There are two domains in the Telecom industry: infrastructure and services. The infrastructure domain consists of the telecom equipment, the networks and the handsets. The services domain include voice calls, data services and other value added services. While the services sector commands nearly 60 percent of India's GDP, the share of manufacturing has been stagnating at around 16 percent since the 1990s. Manufacturing is a major component of the infrastructure domain. To keep the cost of essential communication services low, there are low or no import duties on the import of telecom equipment. As a consequence, there has been a lack of capacity building for local manufacturing of telecom equipment. Going forward, India needs to become more self reliant on telecom equipment manufacturing to ensure that the telecom sector continues to thrive and grow. Apart from the economic reasons, there are also security concerns that arise from relying excessively on telecom equipment that has been manufactured outside the country. 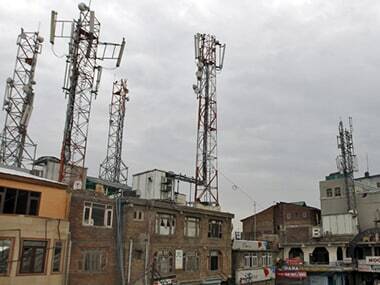 In 2010, TRAI had floated a consultation on encouraging telecom manufacturing in India, and had released recommendations based on the consultation in 2011. There has been an exponential growth in the telecom sector over the past five years. As of the end of July 2017, India had 1,210 million telecom subscribers. TRAI wants to revisit the topic now, and transform the telecom industry in India from an import dependent one, to a global hub for telecom equipment manufacturing. The issues raised by the consultation include identifying the measures needed for boosting innovation and productivity of the local telecom sector, examining the existing patent laws to promote local manufacturing, suggesting a framework of improving local manufacturing after examining the issues of standards, certification and testing. The full text of the consultation paper is available on TRAI's website (PDF). The last date for submission of comments is on 16 October 2017, while the last date for submission of counter comments is 30 October 2017. TRAI may extend the dates if requested by stakeholders. The consultation follows close on the heels of a consultation paper on tackling unsolicited commercial calls, and draft regulations for ease of doing business in the telecom sector.